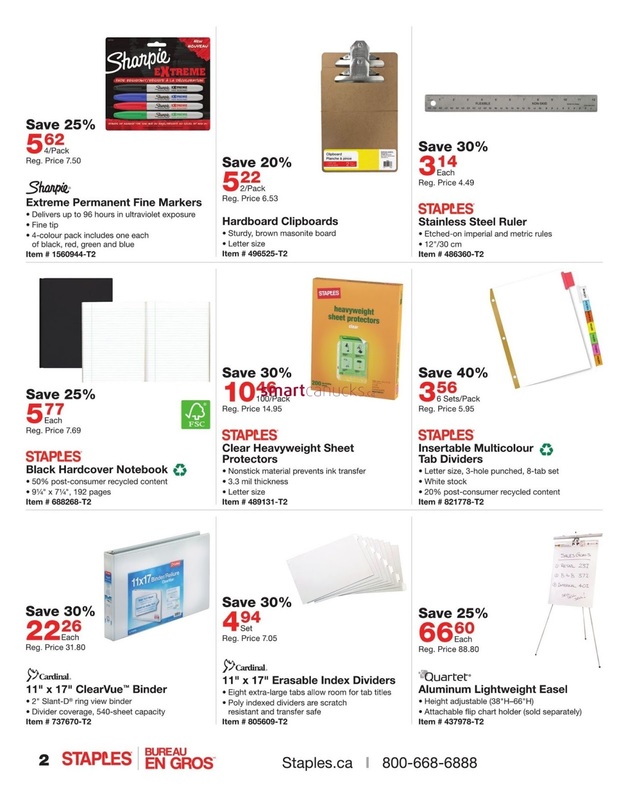 Savings starts now don't miss these incredible offers from Staples flyer valid 4/19/17-5/2/17, make more happen staples flyer. 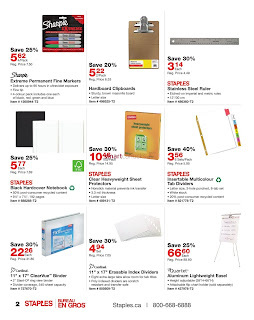 Enviro / Stor storage boxes price $23.96 6/pack save 20%, Staples correction tape price 10.49 6/pack save 30%, Lexar 64 GB TwistTurn flash drive price 24.92 save $25, Luxura Faux leather task chair price 125.85 each, Domtar FCS-Certified Multiuse Paper price 45.91 save 20%, 12-Sheet high-speed cross-cut shredder price 139.99 save $30. Aluminum Lightweight Easel (Height adjustable attacbale flip chart holder) price 66.60 each save 25%. Prices guaranteed April 19, 2017 - May 2, 2017 or whole quantities last. Valid online or by phone.